Calgary is quickly becoming a hub for fantastic golf tournaments, as such there is an abundance of great golf events scheduled for the Calgary area during the 2013 season. This includes some great amateur events (open to the golfers of all abilities) as well as a couple of PGA Tour events (where you can see the pros in action!). The Shaw Charity Classic is an official event on the Champions Tour. This year the event will be taking place at Canyon Meadows Golf & Country Club in Calgary, August 26 - September 1. This 54-hole strokeplay tournament will have a prize purse of $2 million and will be contested by a field of 81 Champions Tour professionals. 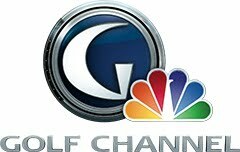 The winner will receive $3000,000 and 300 Charles Schwab Cup points. The Shaw Charity Classic will be the 16th official Champions Tour event to be played in Canada since the Champions Tour began in 1980 and the third in Calgary. 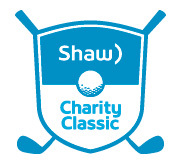 For more information regarding the Shaw Charity Classic, please visit their website at: www.shawcharityclassic.com/. 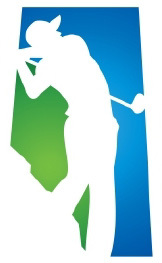 The ATB Financial Classic is an official event of the PGA Tour of Canada. The event will be taking place June 17 - 23 at the Country Hills Golf Club in Calgary. The Golf Town National Amateur Series is Canada's first and only national golf tournament series that provides men and women of all ages, with any handicap, the opportunity to compete on a level field. 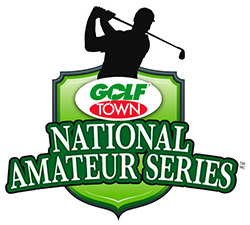 The Golf Town National Amateur Series provides every golfer with the opportunity to compete at a national level against other Canadians at a 72 hole Championship and be crowned a National Champion. Our goal is to provide the highest standard of professionalism, offering golfers the opportunity to play a collection of Canada's finest golf courses and experience the excitement, camaraderie and friendly competition of tournament golf. From May through September, Canadian golfers can play 110+ of Canada's finest public and private golf courses in a one-day and two-day tournament formats, unlike anything else ever produced for amateurs. Registration includes a professional tournament atmosphere, green fees, range balls, shared cart, prizes and the chance to qualify for the National Championship. Exclusive prizing such as; travel vouchers from West Jet airlines, Golf Town gift cards and much more. Best Tournament Prizing value anywhere. The Alberta Golf Tour is your locally run, flighted amateur golf tour, catering to golfers of all skill levels. The tour consists of three local events (in Calgary, Edmonton & Red Deer) plus a tour championship which will be taking place at Banff Springs Golf Course (July 27-28). The Calgary tournament will be held at Speargrass Golf Course on Thursday, June 13th.